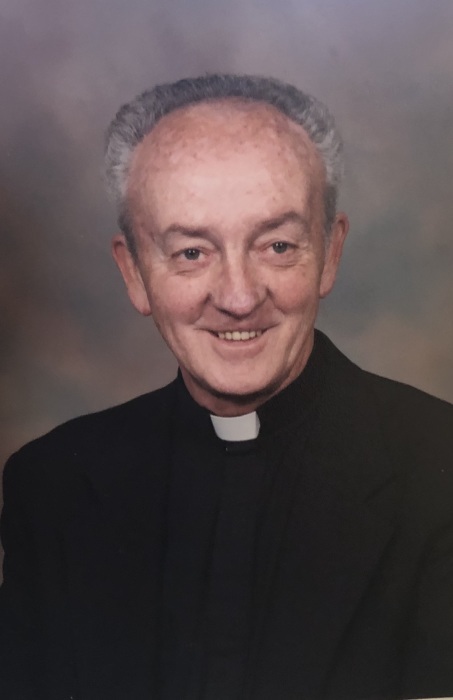 Father Thomas I. Mannion, longtime pastor of Our Lady of Mercy Church, Slabtown, died on Sunday November 25, 2018 at UPMC Pinnacle Community Osteopathic Hospital, Harrisburg. Born February 4, 1936 in Mount Carmel, PA, the son of the late Joseph and Helen (Jakubowski) Mannion. He graduated from St. Charles College, Catonsville, MD in 1956 and from Mount Saint Mary’s Seminary, Emmitsburg, MD in 1965 and was ordained on May 15, 1965 in St. Patrick’s Cathedral, Harrisburg by the Most Reverend George L. Leech. Throughout the course of his priesthood in the diocese of Harrisburg, he served as assistant pastor at St. Margaret Mary Church in Harrisburg, St. Mary’s Church in Lancaster, and St. Patrick’s Cathedral in Harrisburg. He served as Pastor at Immaculate Heart of Mary Church, Abbottstown and at Our Lady of Mercy Church, Roaring Creek since July of 1989 until his retirement in June, 2017. Over the years he also served as the Catholic Chaplain of Holy Spirit Hospital in Camp Hill, Lancaster General Hospital, Harrisburg General Hospital, and Danville State Hospital. While stationed in Lancaster in 1968, together with his close friend Nikitas Zervanos of the Lancaster General Hospital he helped to create a drug prevention program for Lancaster and a treatment and rehabilitation center known as “Manos” which was named after both of them; “Man” being the first syllable of Father Mannion’s last name and “Os” the last syllable of Dr. Zervanos last name- the Spanish name meaning “Helping Hands” which still continues to this day. He was preceded in death by his parents, and two brothers; Joseph and Francis. He is survived by his youngest brother James of Bristol, PA, and nine nephews and a niece. Family will receive friends Wednesday, December 5, 2018 from 5:00 pm to 7:00 pm at the Allen R. Horne Funeral Home and Cremation Services, 193 McIntyre Road, Catawissa with a vigil service held at 6:00 pm at the funeral home. A Mass of Christian burial will be held Thursday December 6, 2018 at 11:00 am at Our Lady of Mercy Church, Slabtown with Most Reverend Ronald W. Gainer, Bishop of Harrisburg officiating. 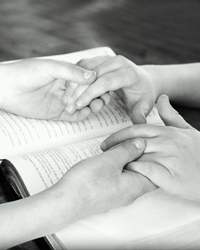 Preceding the Mass at the church, family will receive friends from 9:30 am until time of service. Burial will be held at a later date at St. Mary's Cemetery, Mount Carmel. In lieu of flowers, contributions in Father Mannion's name may be sent to Our Lady of Mercy Church at 304 Slabtown Rd, Catawissa PA 17820.